You know how good shortbread cookies are - but imagine them filled with chocolate. I have some very happy neighbours. Add flour, cornstarch and vanilla. Beat until dough comes together. Form a ball. Divide the dough into about 24 balls. 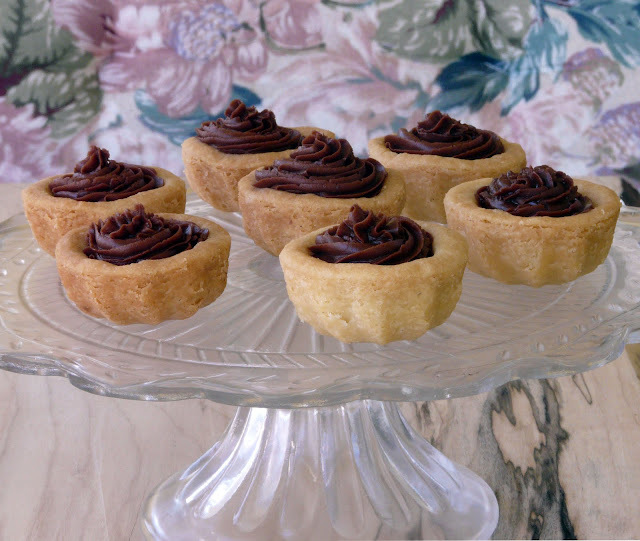 Press into buttered mini tart tins. Prick with a fork and bake in a 325°F oven. As the cookie bakes it will puff up. You will need to prick the cookie again and push the dough down to form the cup. Bake until pastry is golden brown. About 15 to 18 minutes. Cool on wire rack. Melt chocolate, cocoa and butter together. Stir well and beat in icing sugar, vanilla and coffee. Let cool. 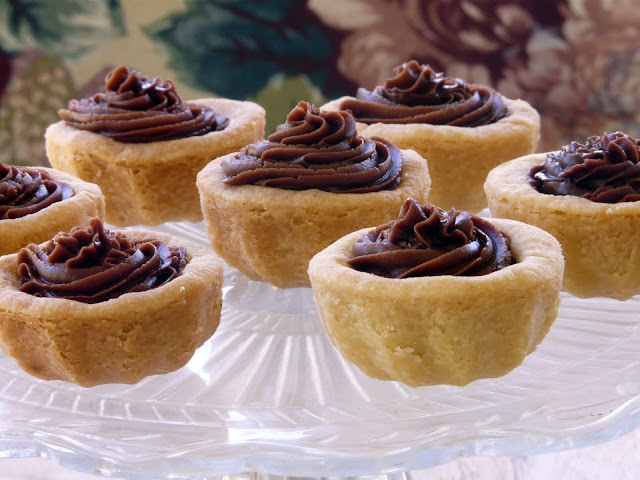 Pipe into shortbread cups. Could I have made these? I know I made your lemon ones..but I think I made these too..Both were Excellent.Loved them! Yum, I would love these luscious little bites. These look so pretty and I know that the taste is amazing. I would love one of these with a cup of tea...right now! 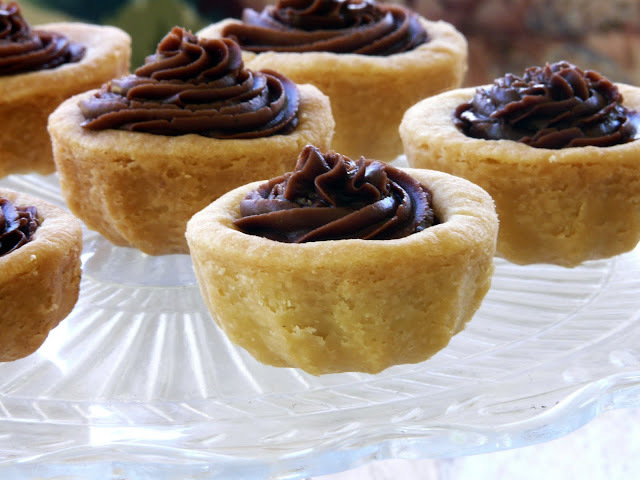 I love anything with shortbread but chocolate just takes it over the top, yum! These are so cute too, would be great for a brunch or luncheon. Oh, Ann. I am not a tremendous fan of chocolate, but those look great. I'm thinking they might be nice for Memorial Day. Thanks for sharing the recipe. These sound absolutely delicious! Thank you for sharing.